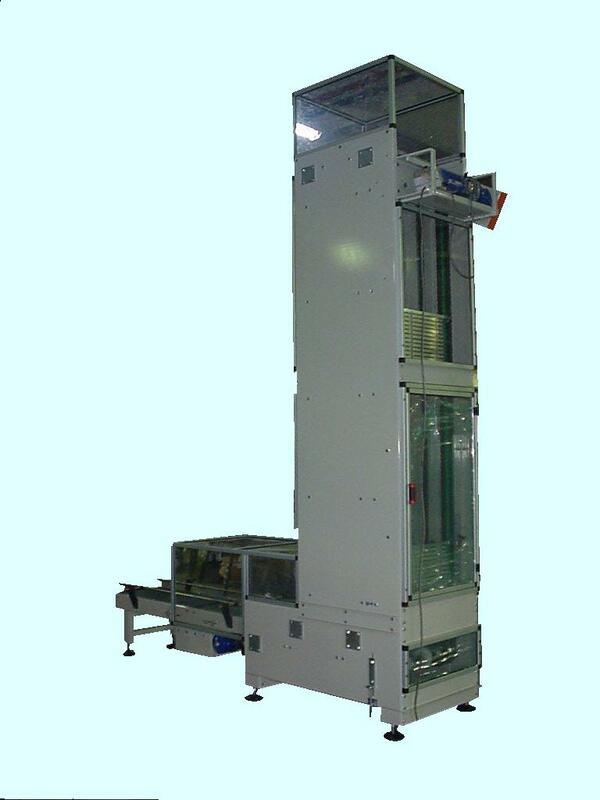 LM Flexible Platform Elevators and Lowerators are special handling systems which are used in packaging lines to change products conveying elevation within a very small foot print, at high speed. 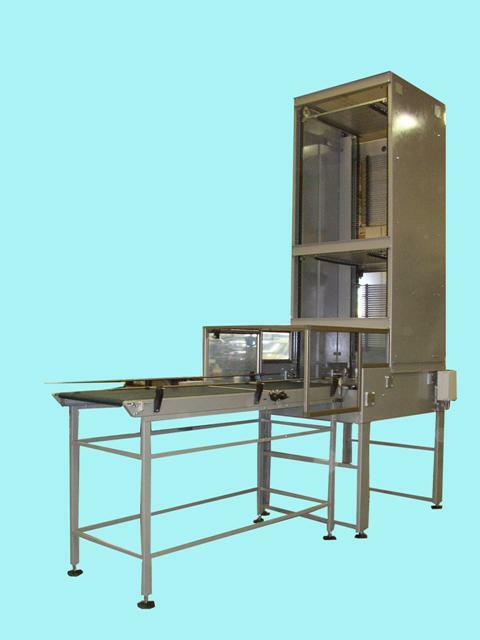 One key feature of the LM design is the that the system is continuous movement, opposed to many types of systems which require alternating operation and relevant dead times. The special flexible platforms are held in position by side chains which take the products and release them at different levels without any relative motion between the platform and the elevated product. The product is not subject to any stress, nor is it squeezed from the sides (in a crushing manner which could damage the product). The product remains horizontal at all times while on the platform.